The kitchen is often called the heart of the home. It's where we gather and prepare the food that keeps us well and healthy. However, as in other rooms of your home, there are dangers lurking in the kitchen that can make you sick. Some of the troublemakers can cause a few days of digestive upset but others can be deadly, especially to young children and to those with compromised immune systems. If you are feeling sick, it's time to take a look around your kitchen and possibly change some habits. One of the biggest health hazards in your kitchen is you and how you handle food. If food is not cooked and handled safely, bacteria can multiply rapidly, causing foodborne illnesses that can range from a few hours of digestive upset to death. Are you guilty of any of these missteps? Undercooking Foods: Foods should be brought to the proper temperature needed to kill bacteria. Runny egg yolks, sushi, or raw cookie dough are particularly dangerous for young children or anyone with a weakened immune system. Leaving Leftovers at the Wrong Temperature: Improper food temperatures simply invite bacteria, yeast, and mold to thrive. Hot foods must be kept above 140 degrees F and cold foods should be stored below 40 degrees F. This includes foods that are being thawed or marinated. Never leave these foods out on the counter for extended periods. Thaw slowly in the refrigerator or more quickly in the microwave and use immediately. Using Unwashed Produce: All fresh produce should be washed before eating or using in cooking to remove bacteria and pesticides. Rinsing Off Raw Meat: Raw meats should not be washed before cooking. Washing or rinsing off raw meat in the sink simply spread any bacteria to sinks and counters. Cooking at a proper temperature will kill potentially harmful bacteria. 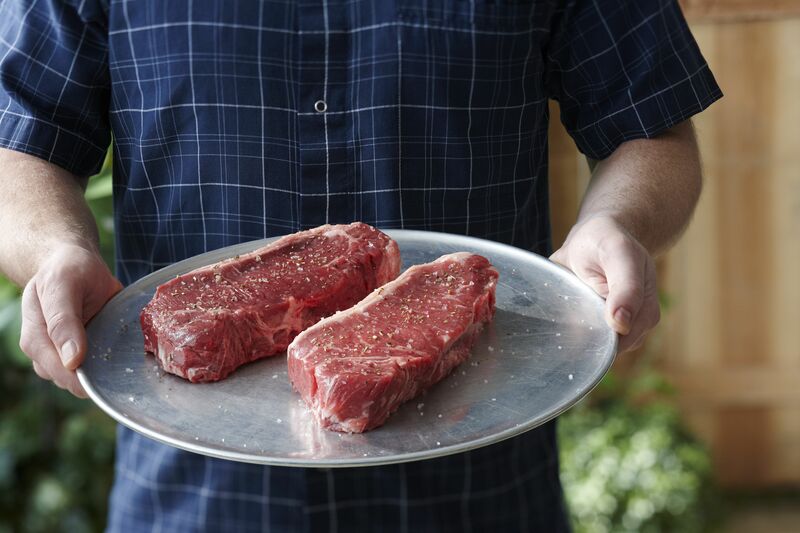 Cross-Contamination Between Raw and Cooked Foods: Never use the same plate to marinate raw meats or take them to the grill that you use for serving the final product. At the grocery store, keep raw foods separate in the shopping cart from prepared foods. At home, store raw products in leak-proof bags and away from prepared foods in the refrigerator or pantry. Skipping Hand-Washing While Cooking: As you move through the food preparation steps, wash your hands frequently, especially after handling meats, eggs, and fresh produce. Almost all of us have some food in the refrigerator or pantry that should be tossed. Eating or cooking with food that is past its safe storage time is extremely dangerous. If you are wary of a food, toss it out. Don't taste it! Not all bacteria that can cause food poisoning can be tasted, seen, or smelled. Preventing food poisoning begins when you shop. Select fruits and vegetables that are not bruised or show signs of insect damage. Don't buy canned items that are swollen, dented, or rusted along the seams. Packed items should not have tears or show signs of stains from leakage. Fabric kitchen towels are an essential and a great way to reduce the use of paper towels. The danger comes if you are not washing them often enough and causing cross-contamination on kitchen surfaces. 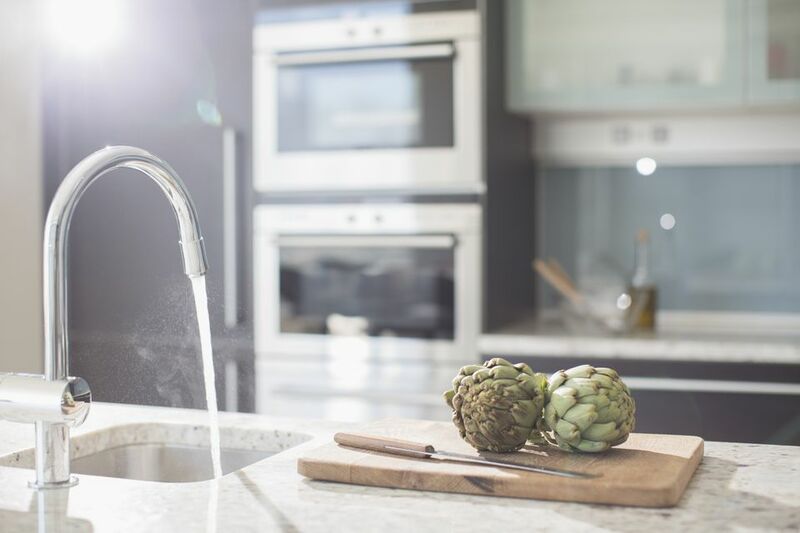 According to a study by the National Sanitation Foundation International, at least 75 percent of kitchen towels tested harbor coliform bacteria (Salmonella or E.coli). Use separate towels for cleaning, food preparation, and hand washing. Wash the towels in hot water after each use. Whether you use a manual or electric can opener, the blade is exposed to the contents of the can with every use. Cross-contamination between meat products, vegetables, and beverages can cause bacteria to grow. Manual can openers should be washed in hot, soapy water after every use or, if dishwasher safe, placed in the dishwasher. For electric can openers, wipe the blade with a disinfectant wipe and dry completely to prevent bacterial growth. Cutting boards make food preparation easier and protect our kitchen countertops. But with each cut, tiny scratches and nicks appear that can harbor bacteria. If you don't use separate cutting boards for meat and raw fruits and vegetables, cross-contamination can have severe health consequences. Wooden cutting boards should be washed after every use with hot, soapy water. Rinse well with hot water and dry with a clean cloth. Never place wooden boards in a dishwasher because they can be damaged. Glass or plastic boards should be placed in the dishwasher for a thorough cleaning. By definition, sponges, whether natural or man-made, are a porous structure. While those pores are great at absorbing spills, they are also quite adept at holding onto moisture and the bacteria that can thrive in that environment and cause illness. Sponges should be washed in hot, soapy water and placed in a spot with good air circulation to dry after every use. They can also be cleaned on the top rack in an automatic dishwasher or tossed in the washer for a hot water cycle. If the sponge has a funky odor after cleaning, discard it immediately. The odor is a sign of excessive bacterial growth. How many times each day are the knobs and handles on your kitchen cabinets touched? How about the refrigerator door handles and the touchpads on the microwave? Are everyone's hands perfectly clean each time? Probably not. Contamination from raw foods and body soil leave bacteria like Salmonella, Listeria, E. coli, as well as yeast and molds on the surfaces. Any of these organisms can cause digestive upset and some are extremely dangerous to young children and weakened immune systems. After each food preparation session or at least daily, cabinet hardware, appliance handles, and control panels should be cleaned using a disinfectant wipe or spray-on disinfectant cleaner. If you have kitchen appliances powered by natural or propane gas, it is extremely important to keep them functioning properly. Even a small leak or malfunctioning pilot light can have deadly consequences. Natural and propane gas are odorless, but utility companies add a pungent odor to help you detect gas leaks. If you smell rotten eggs, immediately open the windows and make sure that appliances and pilot lights are turned off. Call the utility company and follow their instructions. If the smell is excessively strong, leave immediately and call emergency services from a safe distance. A carbon monoxide leak is much more difficult to detect because it is completely odorless. Carbon monoxide is produced when fuel is burned and can be emitted from gas stoves and water heaters. If not detected, it can build-up indoors and cause headaches, flu-like symptoms, muscle weakness, and death. The only certain way to know if carbon monoxide is building up in your kitchen is to install a carbon monoxide detector. If the carbon monoxide alarm sounds, immediately move to fresh air and call emergency services. Plastic containers can be found in almost every kitchen. Unfortunately, not all of them are safe for food storage. Many older plastic containers contain bisphenol A or BPA, an industrial chemical. Studies are ongoing about the possible health effects of exposure to BPA on the brain and behavioral growth of fetuses, infants, and children. Select plastic products labeled as BPA-free and inspect recycle codes. Some plastics marked with the recycle codes three or seven may be made with BPA. Opt for fresh foods over canned foods since most cans are lined with a resin containing BPA. The National Institutes of Health advises consumers to avoid using polycarbonate plastics in the microwave or putting them in the dishwasher. The plastic may break down over time and allow BPA to leach into foods. Eating microwave popcorn is not particularly hazardous to your health, but inhaling the burst of steam when opening a bag directly out of the microwave will cause you to inhale over forty chemicals. The U.S. Environmental Protection Agency pinpointed the worst substance, diacetyl, and leading brands have removed it from their products. However, it's still unclear about the effects of other chemicals used in the manufacture of the bags. To protect your family from potentially harmful damage to their respiratory systems, allow the bag to cool completely before opening or open under an exhaust fan. Reusable shopping bags are great for the environment and may even give you a discount at the grocery store. But they do hold the potential for cross-contamination unless they have been cleaned and cared for properly. It is important to label and designate shopping bags for specific items. Use one for cleaning supplies, one for raw meat, one for fresh fruits and vegetables, and one for packaged goods. Never leave dirty bags in a hot car where bacteria can thrive.